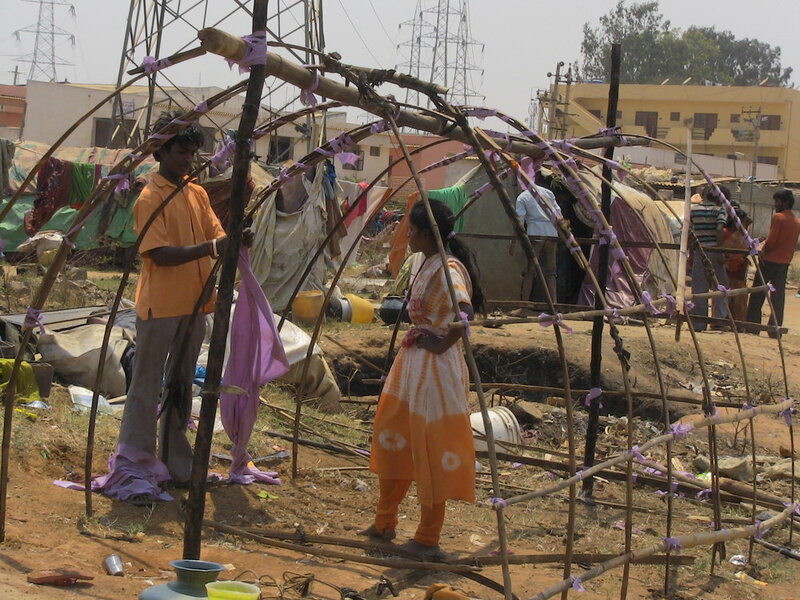 The Tent Village is, on its surface, a film about the lives of road-side dwellers in S. India, who sell hair or pick through garbage to survive. The film is not, however just another movie about poverty in India, pointing fingers, or patronizing. The teenaged filmmakers have unique access and perspective, which is revealed as the film progresses. They provide rare, nuanced, and unflinchingly honest perspectives on child marriage, alcoholism and caste stigma. The film provokes audiences to reevaluate their judgements of what it 'looks like' to be from a certain caste or class.